Hey everyone! Are you a fan of flakies? Sure you are! 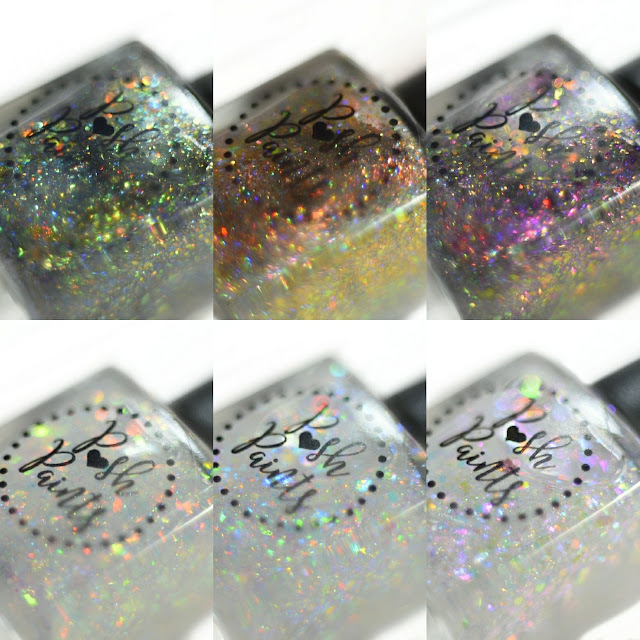 I have Posh Paints Celestial Wonders Collection to show you today, packed with six flakies. "A multi-chrome flake that shifts from violet-pink-gold in a clear base with micro holo glitter, color shifting glitters, and a purple shimmer." My swatch is shown in three coats plus top coat. The formula on this and all the Celestial Wonders Collection are on the thicker side, this doesn't bother me and I prefer them that way. 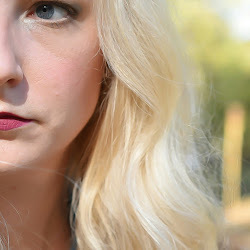 However, you do want to make sure you let each coat dry a good amount of time before applying the next. 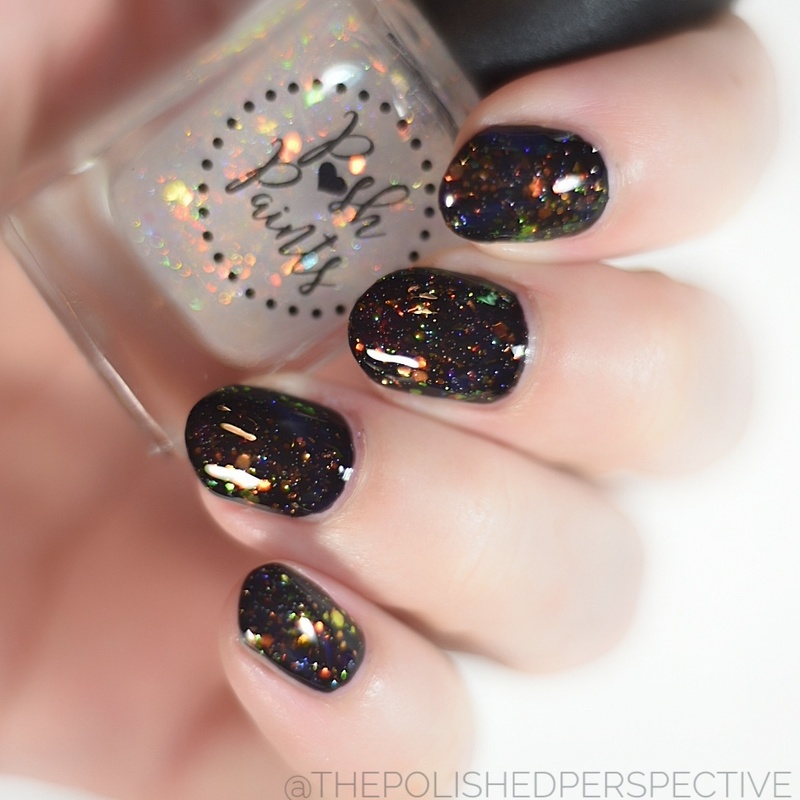 "A multi-chrome flake that shifts from red-bronze-copper in a clear base with micro holo glitter, color shifting flitters, and a copper shimmer." My swatch is shown in three coats plus top coat. "A multi-chrome flake that shifts from lime-blue-gold in a clear base with micro holo glitter, color shifting glitters, and a gold shimmer." 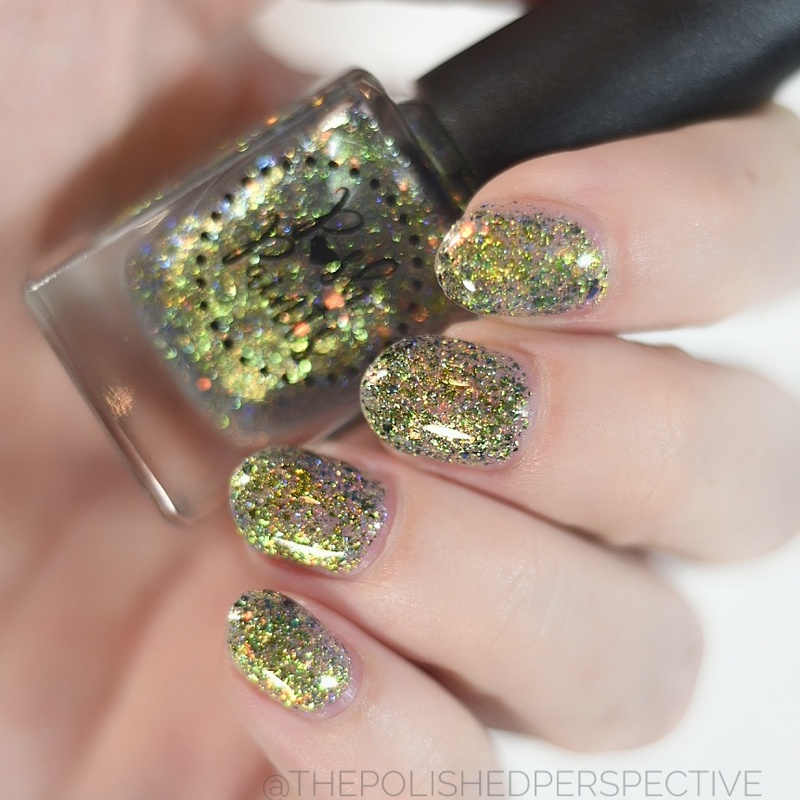 "Red-gold-green color shifting flakes in a clear base with color shifting glitters and micro holo glitters." My swatch is shown in one coat over Posh Paints Enter Sandman. 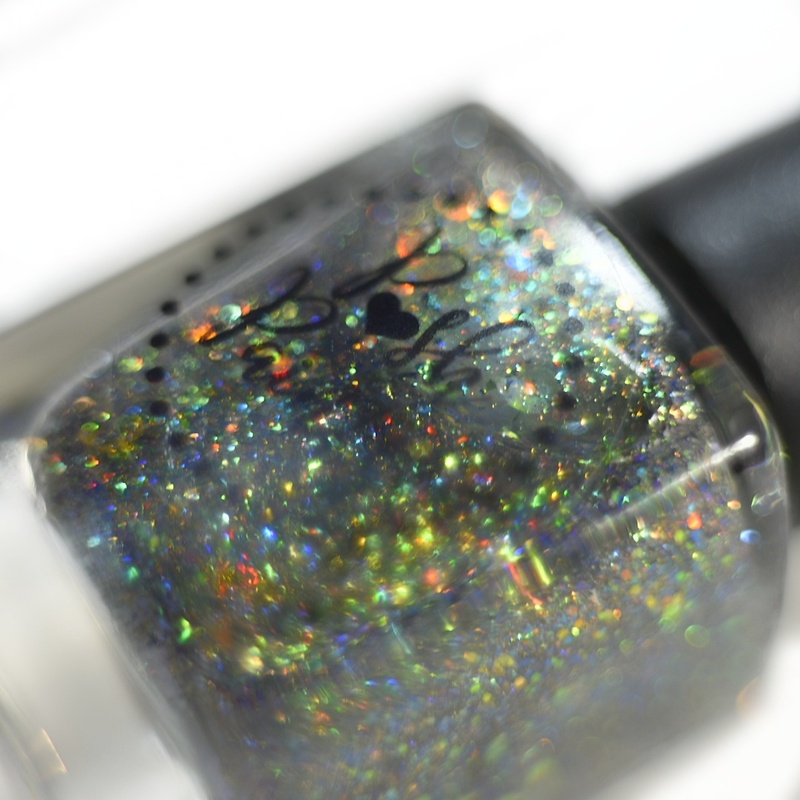 "Blue-green-gold color shifting flakes in a clear base with color shifting glitters and micro holo glitters." My swatch is shown in one coat over Enter Sandman. 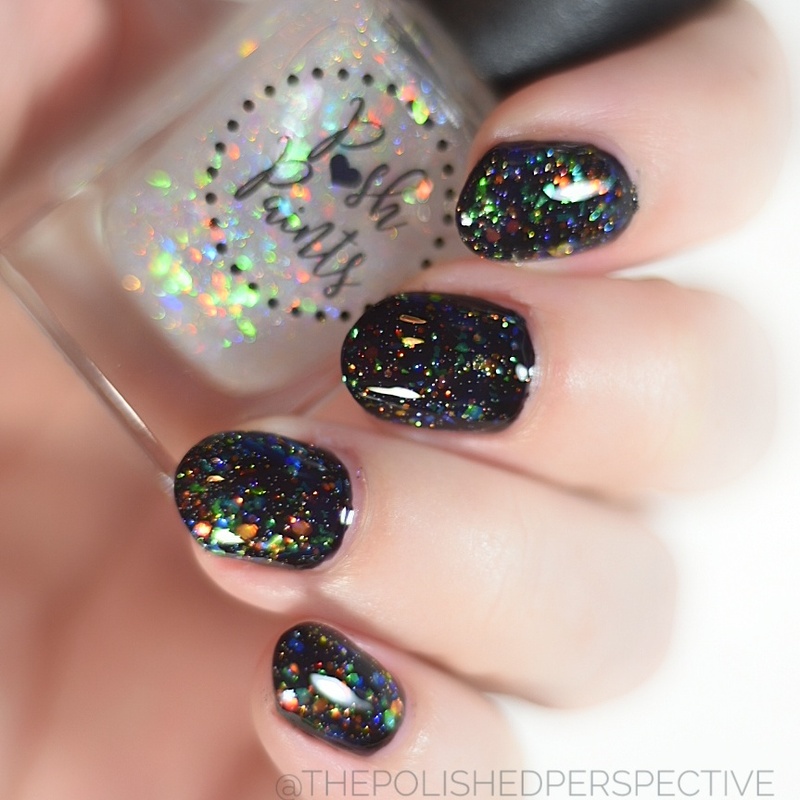 "Green-blue-fuchsia-gold color shifting flakes in a clear base with color shifting glitters and micro holo glitters." 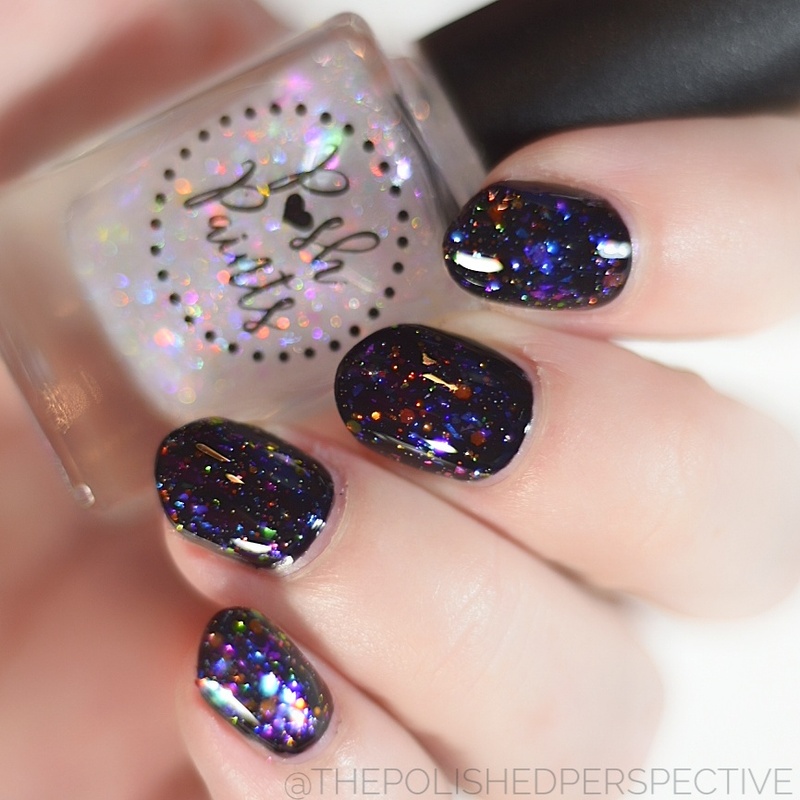 I absolutely love this collection and the combination of glitters. These will be priced at $11.00 each/$61.00 for the set. These will release Sunday May 28th at 5pm at Posh Paints!